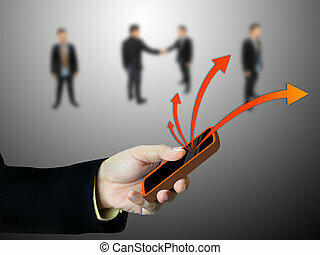 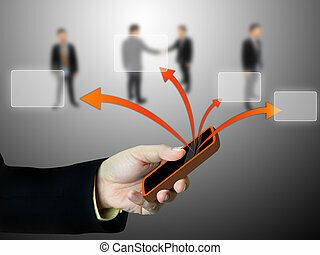 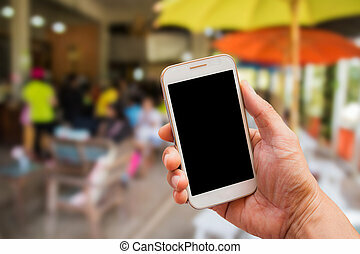 Hand holding smart phone with blurred background. 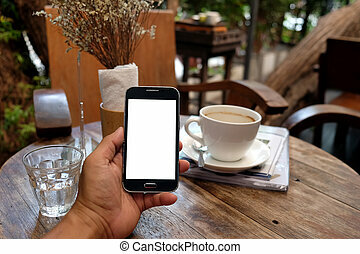 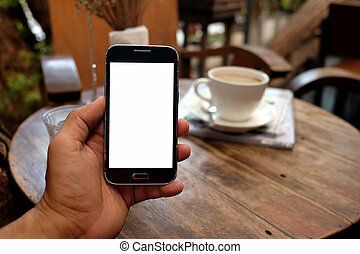 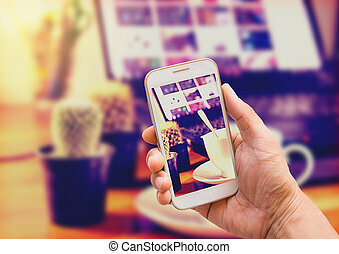 Smart phone in hand with coffee blurred background. 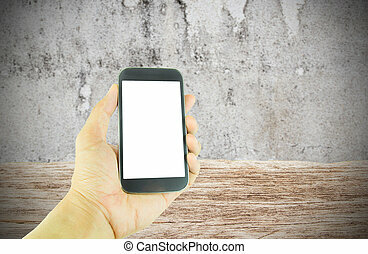 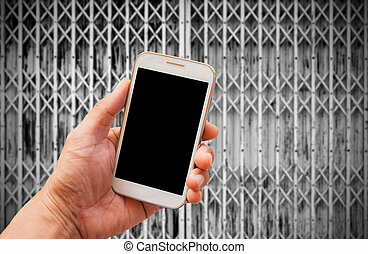 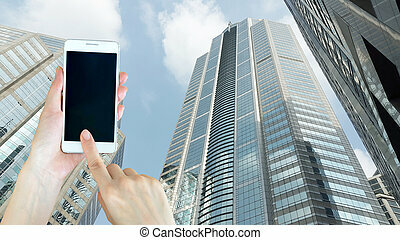 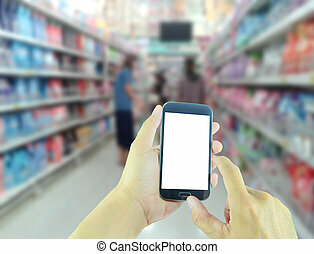 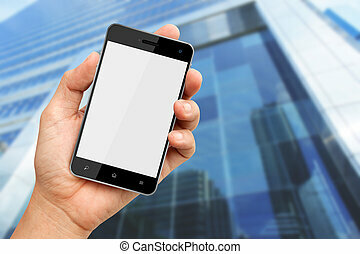 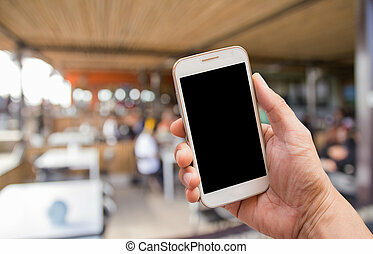 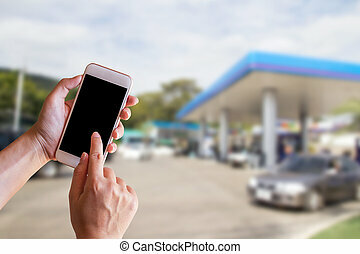 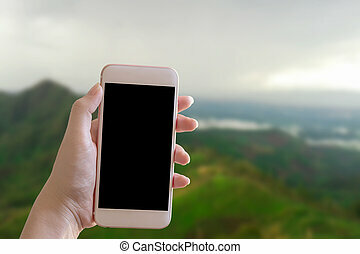 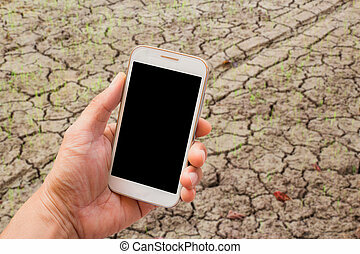 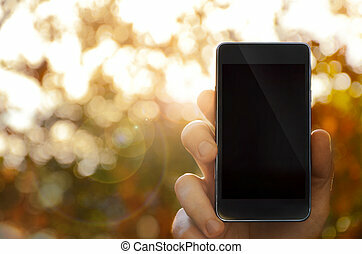 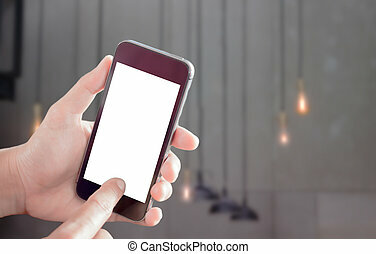 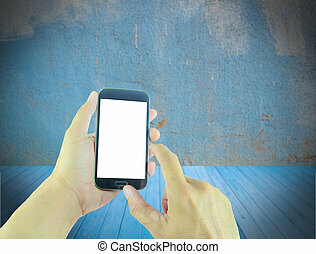 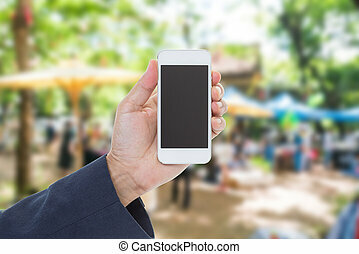 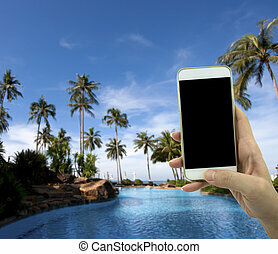 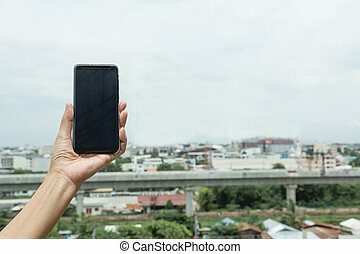 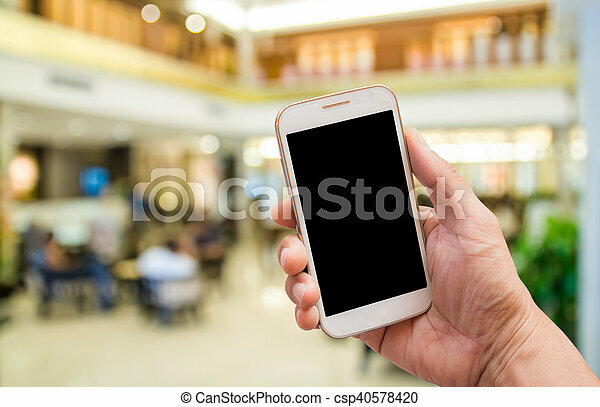 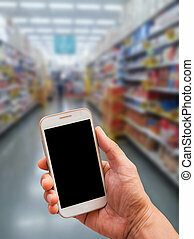 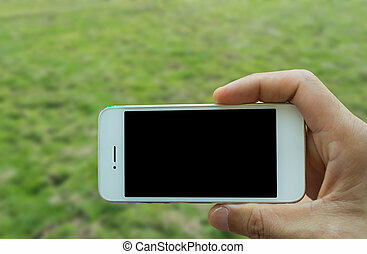 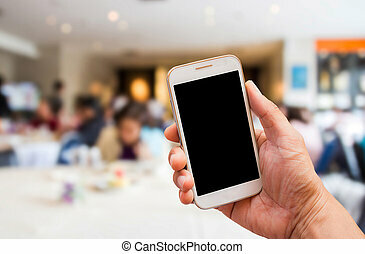 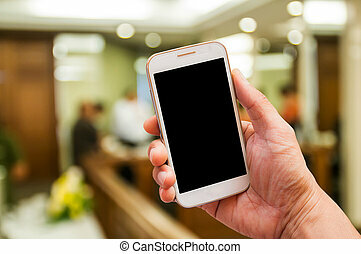 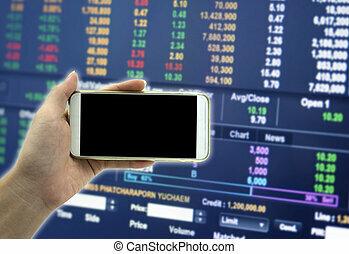 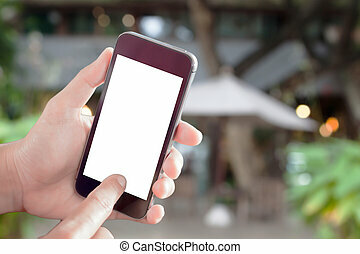 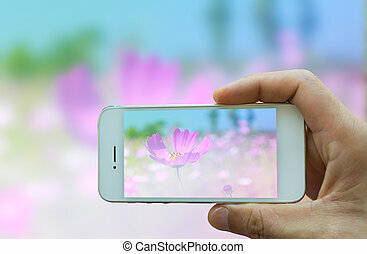 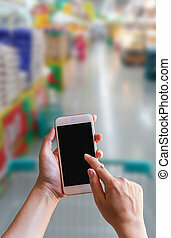 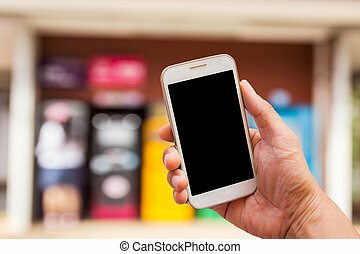 Woman hand holding smart phone with buildings background.